I remember when we met Kristen, owner of Glug Collection, back about 7 years ago. She was selling her shirts out of the trunk of her car with the hopes of starting a successful t-shirt business. I fell in love with her designs instantly and have carried the collection ever since. And our long time, must-have shirt that we can never get enough of, the LOCAL shirt. Even Daily Candy hearts the LOCAL tee!!! SO so so happy it's back. 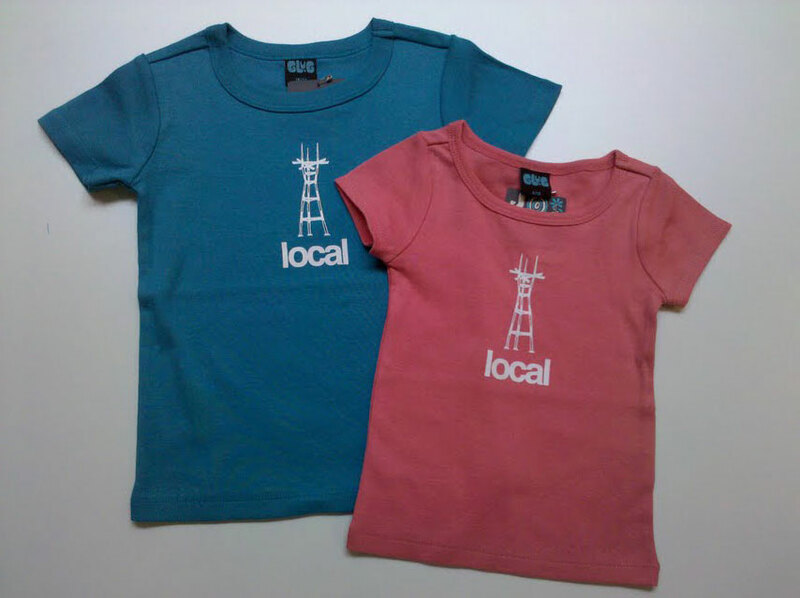 It's that one hometown tee that really says you are a local at your core cuz it's NOT the golden gate bridge (which we LOVE of course). The best part...witnessing yet another success story with an entrepreneur mom!!! And watching Kristen grow her business from just t-shirts to a full clothing collection.